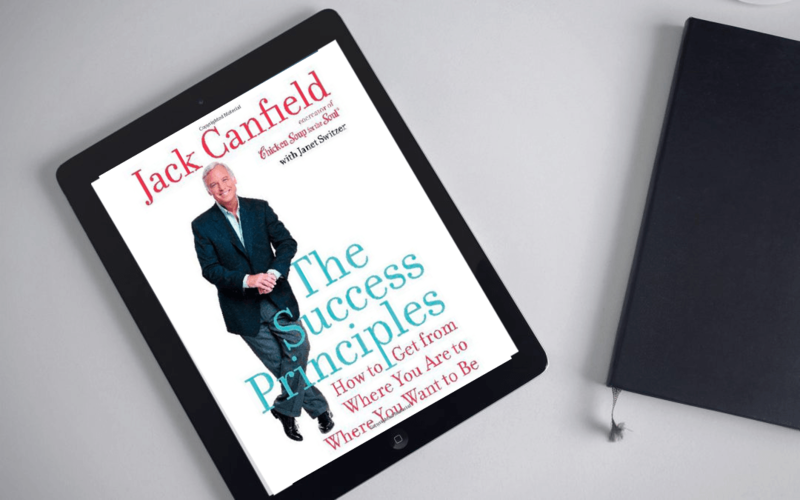 The Success Principles by Jack Canfield is a book I re-read each year. It is that good! This powerful little gem of a book helps me focus and hone my skills and mindset to improve, not only my business, but also my personal life. I picked up this book up when it first released back in 2005 and was also fortunate to meet Jack and hear him present on it at an event in June of the same year. To say I liked this book would be a massive understatement. My original copy is dog eared, highlighted, and full of notes that I used to guide and push me along when I first read it 10-years ago. I can say without a doubt that this book was a key driver to helping me launch my business the same year. Yesterday, I pulled my trusted copy of this classic down from my office book shelf for my annual review of the book as we are now in the month of June. This is a book so loaded with wisdom and proven ‘how-to’ strategies that I go back to it annually. This book is on my ‘Top 10’ all-time favorites. I strongly encourage you to go and get the updated version and prepare to have your mind and outlook on life expanded in a way that you may have forgotten could be even possible. If you’re going to model one of the best, Jack and the wisdom contained in this book is a great way to get started!